The bum-sculpting superhero leggings to make you go faster. In a new print with the perfect mix of compression and stretch to sculpt your bum and legs. Ideal for your sweatiest workouts. Breathable mesh, muscle-compressing performance and a discreet zip pocket have you covered when you run and spin. With 80% opacity we don't recommend downward dogs. Zero Gravity High Waisted Running Leggings is rated 4.5 out of 5 by 13. Rated 5 out of 5 by Workout Wonder from Love the pattern and the fit. I've only taken these gorgeous leggings off to wash since I got them. Rated 5 out of 5 by Macet from Great leggings I bought these to do dance exercise and love them. The material is different than most leggings I’ve had but I like them. Love the design! Rated 5 out of 5 by CrowndWarrior from Zero gravity side pocket run leggings. While in NYC I realized I forgot to pack leggings for a spin class. Whole on my way to another sports store I saw Sweary Betty and had always wanted to try a pair. I AM SO GLAD I bought them. The fit is great. It doesn’t hurt that my bum looks great in these. I really appreciate that o don’t worry about flimsy material that you can see through while wearing them. One example of you get what you pay for! 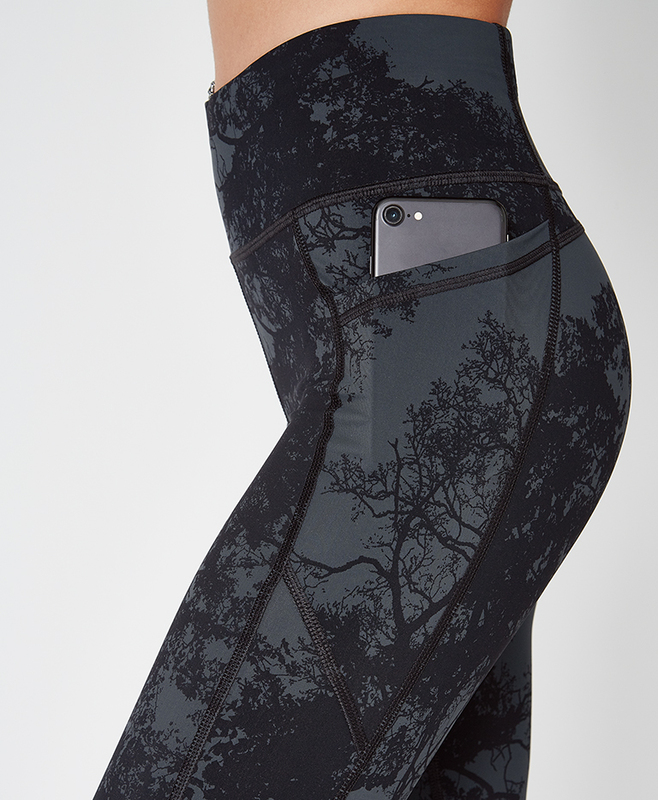 Rated 5 out of 5 by Runnyc from Love these light leggings for running Loved the pocket in the side perfect phone for and they are so light perfect for 40 degrees and warmer! Ride down just a little bit near the crotch area even with drawstring but it may be my body type since this happens in lulu for me also! Rated 4 out of 5 by PNWGURL2u from Hype Worthy So... price is a bit spendy so I held out for far too long. These are Amaznig and stay put and no tug of war and no pinching and all the other great things you have already heard. I really wanted to give them 5 stars but to my dismay they have that “vent” behind the knee. (Just not a fan). I looked careful at the images but somehow missed it. Almost sent back, but decided to give them a try. Love everything about them but that goofy vent. I am 5’ 6” and not tiny. I am a full hourglass shape: Small flat waist with full hip and bottom. I bought the medium. Perfect fit. Rated 2 out of 5 by JGibs from Awesome print, but caution - transparent! Absolutely love these tights, but I was mortified to discover that they are quite transparent when you bend over in them. The print is super cool and they look great, but I need to figure out what kind of underwear I can potentially wear so you can't see through. Rated 5 out of 5 by 1angel from Love! I received compliments the first time I wore them... at the barre, tap class then off to the bar! Rated 5 out of 5 by working out!! from about time has a phone pocket Love these! Im so happy SB added the phone pocket. The material on these is fabulous! !